H. West Richards has spent the last 25 years of his diverse career in both the public and private sector. His public sector experience includes seven years on Capitol Hill in the U.S. House of Representatives, serving in such capacities as Legislative Director, Press Secretary and Chief of Staff. Mr. Richards also had oversight responsibilities in what is now the House Committee on Transportation and Infrastructure. In 1990, Mr. Richards was the youngest Chief of Staff in the U.S. House of Representatives. He was also the youngest person to have direct oversight responsibilities for a House Subcommittee. After leaving the U.S. House of Representatives, Mr. Richards focused his energies on helping the Georgia Institute of Technology prepare for the 1996 Atlanta Centennial Olympic Games. As Special Assistant to the President of Georgia Tech, Mr. Richards was responsible for developing the university’s public relations strategy as it applied to the Centennial Olympic Games. In 1997 Mr. Richards went to work for the Law Firm of Troutman Sanders, LLP to create the first Internet Trade Association based in Georgia (2nd in the nation). 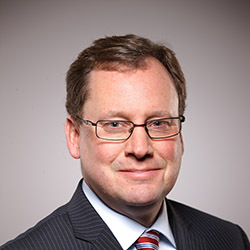 In this role as Executive Director of the Georgia e-Commerce Association (GECA), he pioneered the largest statewide public/private Internet lobby in the U.S. and helped to develop Internet e-Commerce regulation that was eventually adopted not only by the State of Georgia but also by the federal government. GECA boasted over a dozen Fortune 500 members and nearly 50 smaller corporations. It also included a dozen governmental agencies and NGO’s. In 1999, Mr. Richards was recruited by PMG.net to execute his first commercial restructuring initiative. Mr. Richards successfully shifted the core business of this small Internet enterprise from web development to advanced application development. The result was a five-fold increase in sales and the creation of alliances with Ariba Software, Deloitte Consulting, iXL and Anderson Business Consulting. Today, according to the Gartner Group, PMG.net is now recognized as the most successful Enterprise Service Catalog software firms in the world. In late 2000 Mr. Richards was recruited by Andersen Business Consulting to lead their I.T. Business Development practice in Georgia. Following this, he founded two small technology start-ups and sold one in 2007. From 2007 through 2009 Mr. Richards served as Executive Vice President of XS International, a premiere High Performance Computing enterprise. Since leaving Washington and now returning to Washington, Mr. Richards has remained active in politics and has served as a strategic advisor in one Gubernatorial campaign and two Congressional campaigns. He maintains strong political ties across the state of Georgia and in Washington, D.C.
From 2010 to 2014 Mr. Richards lobbied in the Financial Services arena representing the largest Reverse Mortgage companies in the United States, several of which are backed by a number of prestigious Wall Street firms such as Guggenheim Partners, Knight Capital and JAM Equity Partners. Mr. Richards in his role as Executive Director of the Coalition for Independent Seniors led an entire team of federal lobbyists, aging consultants and media relations experts to represent industry concerns in the U.S. Congress. This organization enjoyed tremendous success during a time when the Reverse Mortgage Industry was facing an existential threat in Congress. In early 2014 Mr. Richards co-founded the American Transaction Processors Coalition with the prestigious Washington, DC based law firm Hunton& Williams, LLP. The mission of the Coalition is to Protect, Preserve and Promote the interests and advancement of the Transaction Processing industry. This also includes working with both the private and public sector to create economic development opportunities for the industry which has a high concentration of enterprises in Georgia. Mr. Richards is responsible for Federal, State & Local Government Relations, Public Affairs, Community Affairs, University Relations and Economic Development. The ATPC is headquartered in Atlanta with offices in Washington, DC. Mr. Richards is a graduate of Carnegie-Mellon University in Public Policy & Management with a concentration in Management Information Systems. He enjoys skiing and has competed in seven Triathlons mostly on behalf of the Leukemia & Lymphoma Society one of which was an IRONMAN (70.3). Mr. Richards lives with his wife and Airedale Terrier in Roswell, GA.